The 2018 project consists of different parts, including research, energy audits of selected dairies and of course on-going stakeholder engagement and consultation. This time, in addition to identifying entry points for clean energy solutions (energy efficiency and renewables), we are also looking at the use of refrigerants in India's dairy value chain. In the second week of March 2018 I travelled to India to meet relevant stakeholders and strengthen our ties with the Indian dairy sector. Our two experienced consultants, Mr. Thomas Pullenkav and Mr. Kalyan Bhadra, who were also deeply involved with our activities last year, joined me for the meetings across three states of India. Also with us were the highly competent team members of IGEN Access (GIZ), in particular Mr. Diego Senoner. On our first day, Monday March 5th, we met with DevGreen Energy Consulting, the energy experts selected to conduct two energy audits for the project. We discussed the work they will do with two dairies, one from the private and one for the co-op sector, that have agreed to collaborate with us and to allow these energy audits to be conducted on their processing sites. Apart from looking at opportunities for energy savings and increasing efficiency, the auditors will also investigate the refrigerants used at plant level and throughout the dairy cold chain. The auditors will look at the procurement of milk for the plants, especially at the Bulk Millk Chillers (BMCs) and Milk Collection Centres (MCCs) where milk is initially chilled before it is transported to the plant. Retail units run by the dairies and their energy demand will also be studied. Once the audits are finalized, DevGreen will be invited to a workshop later this year where they will present their findings to dairy stakeholders, and collaboratively we will determine which proposed interventions are appropriate across many dairy plants and how we can support these interventions. A particular focus of the presentation will be on no / low-cost interventions and behavioural changes. Next, we visited the Bureau of Energy Efficiency (BEE), where we learnt about large scale energy audits already conducted and found that our current activities align nicely with their recent work. We were assured that energy efficiency is viewed as increasingly relevant and is seen as an important step on the way to increased sustainability by both government and industry actors. We were able secure the BEE's support and interest for our project. In the afternoon, at the GIZ office, Markus Wypior, Dy. Cluster Coordinator of the GIZ’s Indo-German Energy Programme, gave us a comprehensive and highly interesting lecture about the history and current situation of the use of refrigerants / ozone depletion substances (ODS). The focus was of course on India, and we heard about a successful cooperation with an Indian company, Godrej, which led to the production and sale of an air-con system based on natural refrigerants rather than ODS (CFCs,HCFCs, HFCs). Per capita ownership of air-conditioning systems is still rather low in India, but it is growing at a fast rate. The German approach to refrigerants, instead of focussing on 4th generation patented chemicals for cooling (HFOs), is to attempt to leap-frog HFOs and switch to natural refrigerants. Such natural substances are well suited for compressor technology, but went out of fashion in the 1920s, mainly because of safety concerns. Natural refrigerants, such as CO2, ammonia or propane, have a low global warming potential and don’t destroy the ozone layer, but tend to be flammable or toxic. Modern technology, however, has minimized these risks, and Godrej has trained ~20,000 maintenance technicians (about 10% of India’s informal maintenance service providers) to handle their products safely. The next day, we drove to a peri-urban area in Uttar Pradesh to visit one of the the two dairies that will participate in our project, namely the one from the private sector. This plant processes ~500 000 L of milk per day, and produces about 70 dairy products (milk, ghee, curd, flavoured milk, ...). The dairy was built in 2016 and our team was impressed with the high standards. The plant produces its own thermal and electrical energy with bioenergy (rice husk), and many efficiency measures such as waste heat recovery, light wells and insulation have been implemented. The refrigerant used for chilling is ammonia. It will be interesting to see if the audits can bring to light additional ways to increase efficiency at this plant. 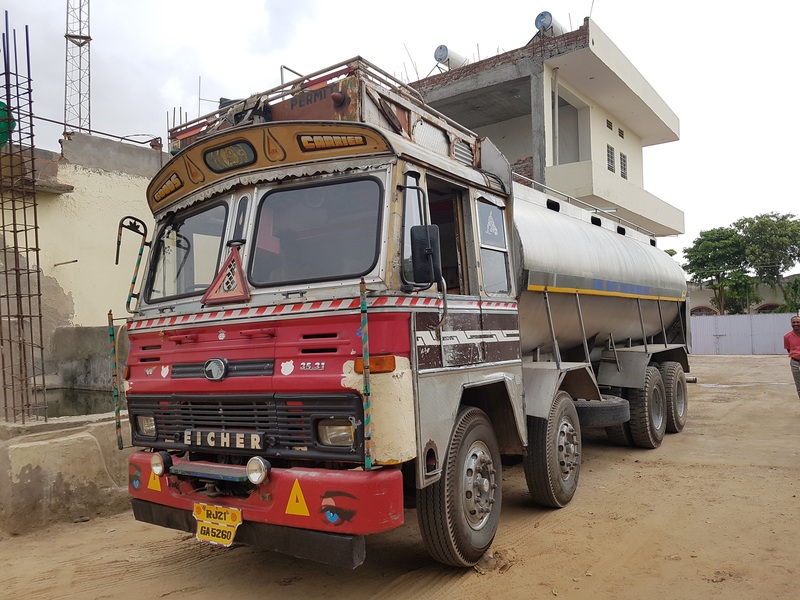 On Wednesday, our team had to get up very early to catch a flight to Jaipur, Rajasthan, where we visited the second dairy, from the co-op sector, in Ajmer. This processing plant is likely typical for the many co-op dairy plants built as a result of the successful “Operation Flood” in the late 1970s and early 1980s. This plant also produces its own thermal energy, mainly steam needed for pasteurisation, and uses waste heat recovery to produce hot water necessary for cleaning. We learnt that this plant also uses natural refrigerants (ammonia) for cooling. Of course, the co-op sector takes a more centralized approach to decision-making, and initiating change requires long-term engagement and solid business cases for new technologies. We returned to Delhi in the evening, and Thursday saw our team travelling to Faridabad, Haryana, to join a meeting of members of the IDA (India Dairy Association). IDA members represent cooperatives, corporate bodies, private institutions, educational institutions, and government and public sector units, and their support is very important for the success of our project. We were able to present our project to the stakeholders, and received good feedback and interest in clean energy solutions. The IDA members present said that they were aware of some technology providers of renewable energy solutions for chilling, but that the offers are not yet suited to their needs - they would like us to find and present them with new solutions. They also pointed out that transport consumes a lot of energy in the sector, and should not be forgotten. The IDA is keen to learn results of the energy audits we will conduct, and particularly in any low-hanging fruit and no / low-cost interventions. Once again, it was pointed out that any technologies requiring an investment with a payback period of over 3 years are very unlikely to be taken up by the sector. Last but not least, we were able to meet Dr. Love at his Ozone Cell office at the India Habitat Centre back in Delhi. 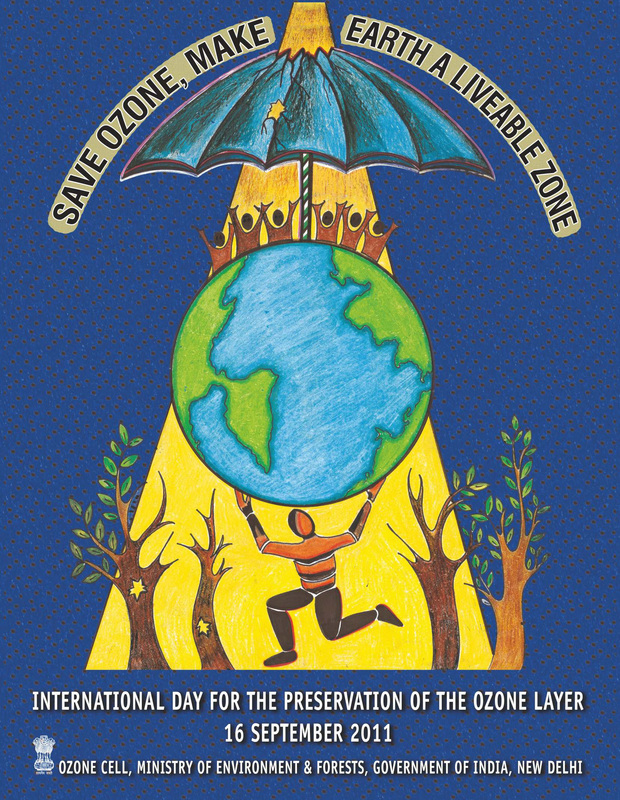 Ozone Cell was set up under India's Ministry of Environment, Forest and Climate Change to implement the Montreal Protocol on Substances that Deplete the Ozone Layer. Markus Wypior joined us for this discussion, and we were excited to learn that a National Action Cooling Plan is currently under development. Presenting our project and findings so far to Dr. Love was an ideal opportunity to bring this sector to his attention and ensure that the dairy cold chain is considered in this important policy piece, which will likely be in place for the next 20 years. Again, we felt that there was interest in our current activity and project, and that the timing is right for interventions to bring about more sustainability in the dairy sector – both in terms of energy and the use of refrigerants. All in all I returned with a very positive feeling: we are well on track and our project is gaining traction. Stakeholders were open to sharing their viewpoints and offered to continue providing support by informing and guiding our activities. The next few weeks will also be exciting – the energy audits will be conducted and we will continue our research. Later in the spring, we will return to Delhi to gather the stakeholders in a workshop and together design an outline for future interventions and the necessary support. Everybody on board of this project is working towards the goal of “Greening India’s Dairy Value Chain” in terms of reducing the sector’s contribution to climate change and ozone depletion, as well as helping it grow economically in a sustainable way, for the benefit of India’s many dairy farmers and their families.